- It works as a mouse, which converts your space movement in the air into an accurate displacement on the screen. 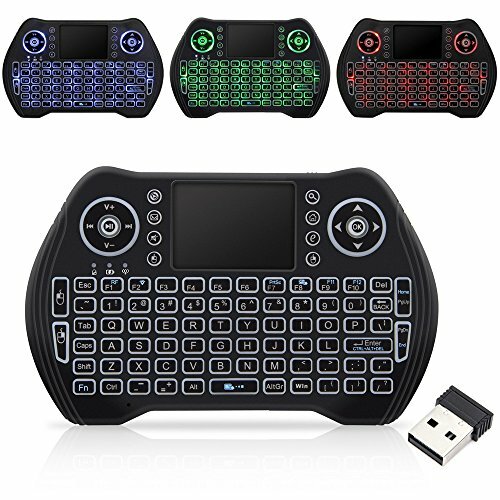 - It works as a keyboard, and you can use it portable to replace your usb keyboard. - It works as a remote, which you can program and learn some important keys from your TV remote. 4. Changeable Back Light: You can activate the backlit color in RED, BLUE and GREEN by press the button Fn+F2, or you can just turn it off. Reliable 1 year warranty,sold and serviced,7x24 hours customer service available,any problem,any time, just feel free to contact us,we would be more than happy to serve you. If you have any questions about this product by Jascenic, contact us by completing and submitting the form below. If you are looking for a specif part number, please include it with your message.